Unfortunately, all cryogenic valves require servicing and are traditionally left uninsulated, losing both energy and LNG as a result. In the past, these losses were accepted as part of the process, but with focus shifting to sustainability, these types of oversights are causing facility managers to search for a solution. An LNG plant operator recently found himself in this exact situation. It occurred to him that removable, cryogenic, insulation jackets could offer exactly what he needed. 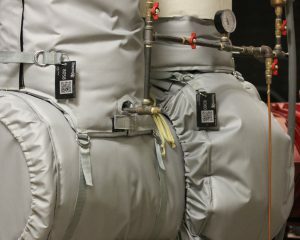 Intermountain Gas Co., located in Nampa, Idaho, US, required removable, cryogenic, insulation jackets capable of insulating a -260°F valve containing LNG. These valves are challenging to insulate, due to the cryogenic properties of LNG. 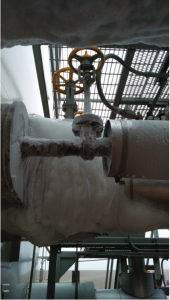 On a visit to the company’s site, when the ice was scraped off a portion of valve, the water vapour in the air quickly condensed on any freshly exposed metal within seconds, forming a layer of ice again within a minute. The image to the right shows a valve in the foreground on the day of the site visit. 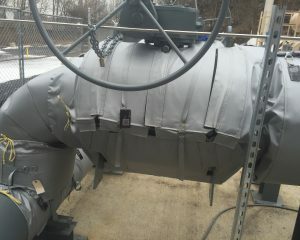 This valve is now covered by a Thermaxx Cryogenic Jacket, which will help protect the valve from ice buildup. The primary reason for insulating LNG valves is to provide greater efficiency within the valve itself. The goal of cryogenic insulation is to keep as much of the LNG in the liquid state as possible. When the cooled liquid starts to increase in temperature, the resulting gas that is created has an expansion ratio of 600:1. If this phase change within the system is not monitored properly, it can affect the flow within the pipe, as well as the pressure within the system. In addition, the amount of LNG that can be stored within the facility is considerably reduced, thus decreasing the total production of the plant. When more LNG can be stored in and transferred throughout each plant, the plant will in turn be able to sell more LNG. 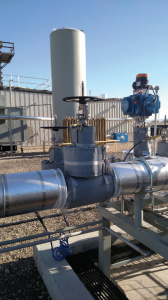 Other important reasons to insulate LNG valves include the extension of the equipment’s lifecycle, the safety and protection of the employees and visitors of the plant, and the prevention of blocks of ice forming on the valves when they are left uninsulated. The performance of industrial insulation is depreciated by moisture (both liquid and vapour), which is prominent in the production of LNG. Due to this high level of moisture, it is essential that any insulation being used contains a moisture vapour barrier. The average weather in Nampa on 30 July has a high temperature of 92°F with a relative humidity of 64%, whereas on 19 January, the weather has a high temperature of 32°F with a relative humidity of 97%. With LNG running through the valves at a temperature of -260°F, it becomes extremely difficult to insulate, as moisture is more likely to find its way into and through the insulation. Moisture wants to make its way from hot to cold, so the material selection for these jackets was an essential aspect of the design. The most efficient insulation will reduce the need for boil-off gas (BOG) within the LNG pipeline and will in turn allow for the delivery of more liquid in a shorter period of time. It was essential that the insulation used met the following criteria: low thermal conductivity (k-value), hydrophobic, integrated vapour retarder, and the ability to be flexible yet durable at low temperatures. 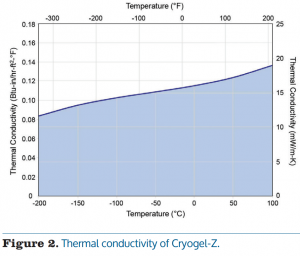 Following extensive research, the Cryogel-Z was chosen as the insulation material for this application. This material is a flexible aerogel blanket engineered by Aspen Aerogels to deliver maximum thermal protection with minimal weight and thickness. It is ideal for cryogenic applications as it uses an integral vapour retarder, which allows for zero water vapour permeability. According to the product data sheet, during the standard testing procedure of ASTM E 96, the water vapour transmission rate (with vapour retarder) was 0.00 perm. 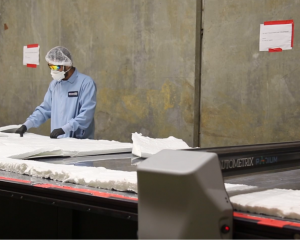 This specially engineered insulation consists of a unique silica aerogel within a flexible fibre blanket. 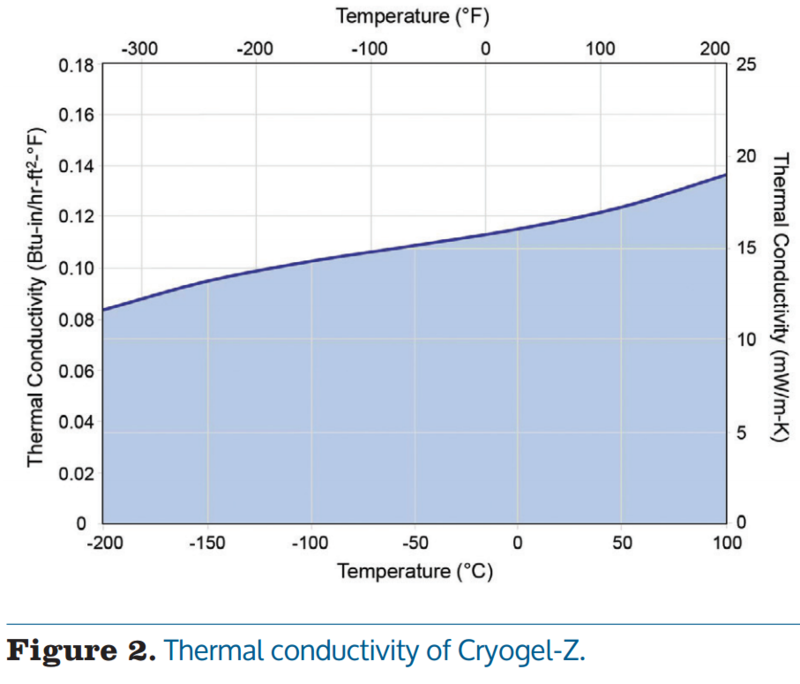 Figure 2 shows the thermal conductivity of Cryogel-Z. At -260°F, the k-value is approximately 0.090 Btu.in./hr.ft2.°F. This is important as the lower thermal conductivity of the insulation allows for improved efficiency and energy savings within the system. With the insulation selected and the valves measured, the jackets were ready to be designed. In order to ensure the desired efficiency and vapour protection of the valves, five layers of 10 mm thick Cryogel-Z were used. Because Intermountain Gas Co. needs to service these valves on a regular basis, the insulation needed to be removable and reusable. In order to meet these requirements, Thermaxx Jackets needed to develop a design that could include multiple layers of insulation within a single removable jacket. The greatest challenge in this type of design was finding a solution that would allow the multiple layers of insulation material to be internally confined to one removable jacket. The five layers of insulation were cut to five different circumferences, with the inner layer the shortest, and the outer layer the longest. Once cut, the insulation needed to be properly layered and sewn into a jacket. The best way to do this was to design the jacket as a lap joint, which has an internally fixed pivot point in which the five different layers could freely slide over each other when the jacket is wrapped around the flange or pipe. 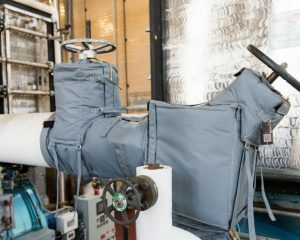 Once the jacket is closed, it overlaps itself by approximately 25% of the original length of the jackets to eliminate the possible entry of water (in liquid or vapour form) into the insulation and eventually into the valve itself. The outer covering for the jackets is a Teflon coated fibreglass cloth known in the industry as EJ1650. With a tensile strength of 400 lb/in. warp and 300 lb/in. fill, along with high chemical resistance and temperature exposure capabilities, EJ1650 is a suitable cover material for Thermaxx Cryogenic Jackets. Velcro flaps are used to secure the two overlapping ends of the jacket. Nylon straps and d-rings are sewn onto the jacket to help secure the velcro and allow for the jacket to be tightened as much as possible. Additionally, 3 in. or 6 in. seal flaps are added to all exposed edges and cutouts within the jacket. These seal flaps are created by sewing a Kevlar cord into a folded over section of EJ1650 to create a flap that can be cinched around the adjacent insulation, or any cutout needed to be made in the jacket. When multiple jackets are needed to cover the same component, these seal flaps help provide a vapour barrier at the seams where the two jackets meet. Figure 3 shows the company’s jackets installed on one of the valves that requires multiple jackets. 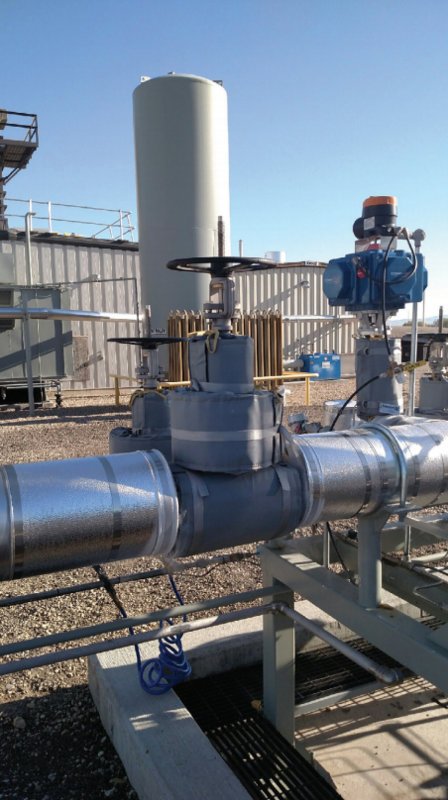 Following shipment and installation of the jackets in Idaho, Intermountain Gas Co. was impressed with the ease of installation and the ability to quickly remove the insulation jacket if the valves required servicing. With the current and future growth of the LNG industry, increasingly more facilities will develop across the globe to allow for the import and export of LNG. Smaller facilities require smaller valves. The problem with an uninsulated smaller diameter LNG valve is that the percentage of the available liquid that is lost is much greater than that in larger valves. By 2020, LNG production is expected to reach 10% of the total world energy consumption. Due to this rapid growth, the need to insulate components within LNG plants will quickly become prevalent. Traditional cryogenic insulating techniques will be used to insulate all piping and tanks within these facilities. However, without removable insulation jackets, the components will remain uncovered. 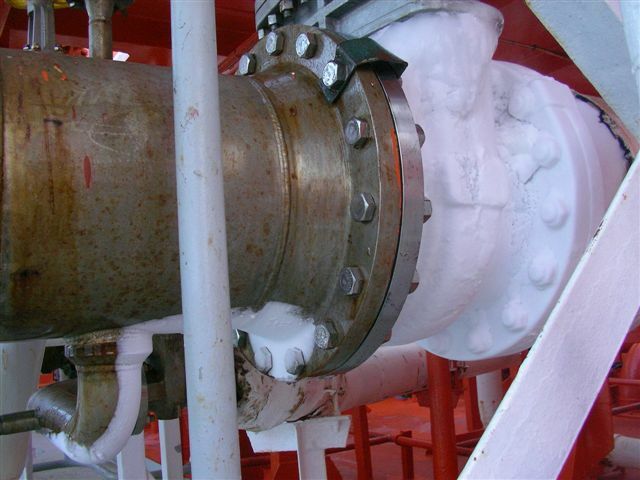 Within the LNG industry, the use of removable cryogenic jackets will provide considerable savings that cannot be accomplished using traditional insulating methods. This article originally appeared in the July/August issue of LNG Industry. For more information about Thermaxx Removable Insulation Jackets, contact us or view our products page.